James and Syvok's Fourth Adventure. James and Syvok 4th adventure has a new mystery floating about. James is curious to explore the iridescent cloud. All the colors of a rainbow glow, surely there are adventures to sow. Come along and meet new friends! Dragons, cats, troll, and more, lots of fun is in store. Join the adventures up in the sky and help the wizard find her magical key. Come and see what the iridescent cloud hides! Wendy Nystrom is a published author with Anchor Group Publishing, wife and a mother of three wonderful children. Wendy grew up in St. Paul, MN, and has lived at different points in her life in Minnesota, Texas, Idaho, Colorado, West Virginia, and Iceland. She currently resides in Michigan (USA). 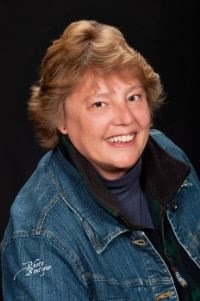 Wendy is an avid reader of many different genres; she love adventures; and devotes some of her time to being active in schools, the local library, and other community projects. She earned a BA in Geography concentrating on Urban Planning at Texas State University. Wendy began writing children stories in 2005 while living on the wonderfully imagination filled island of Iceland. Her writing paradise is sitting around a campfire deep in the mountains with a huge moon above with the mountain outlined all around while a story teller weaves a tale of adventure with a splash of fun as a pebble skips across the water. new characters, new mystery, and a grand new adventure, or two! If your new to Wendy's adventures we should catch you up! 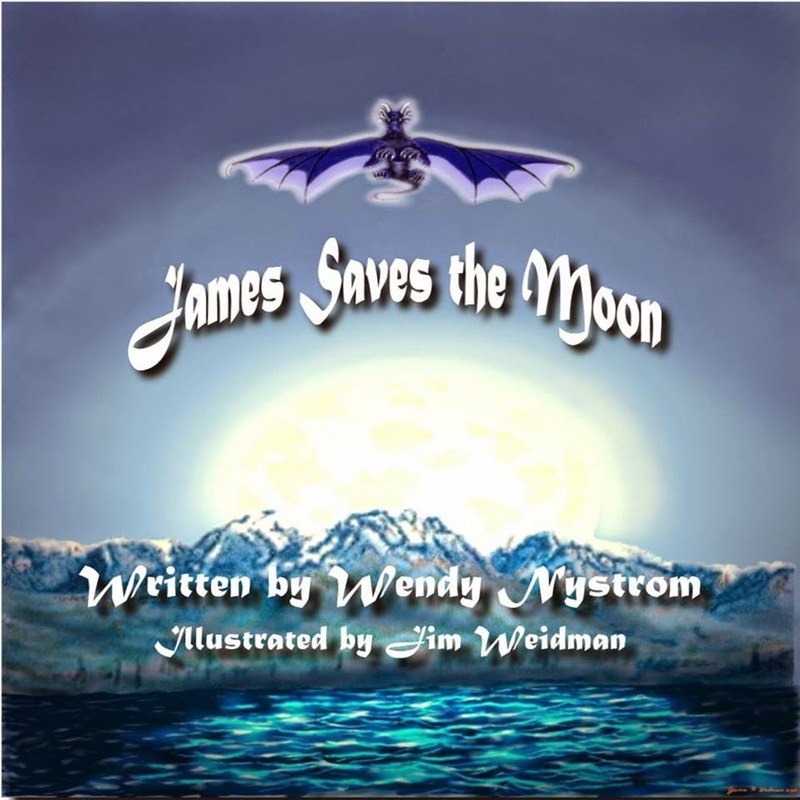 First there is James Saves the Moon. and the first thing he sees is-the MOON. But the moon is far to low-and it needs saved. he makes a new magical friend and a dragon! and a budding friendship begins! And then comes Helga Returns. upon a footprint so large and mysterious. trouble could be around the corner! 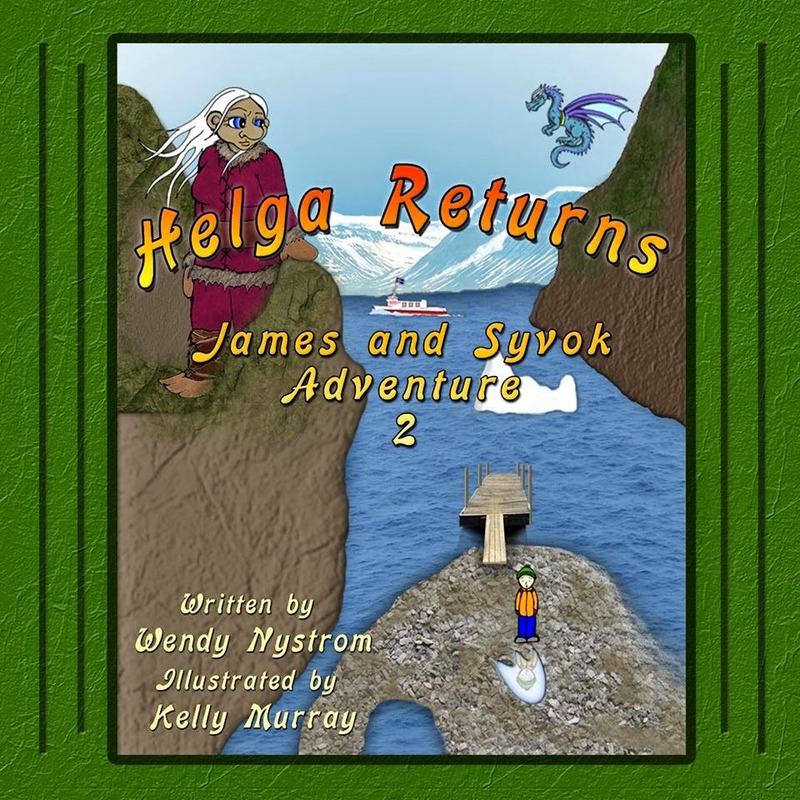 The two creep up on Helga and the adventures continue! What would come next, well of course some Lads. Thinks James as he and Syvok set off on their third adventure. Little did he know the mischief these Yule Lads were capable of getting them all into. 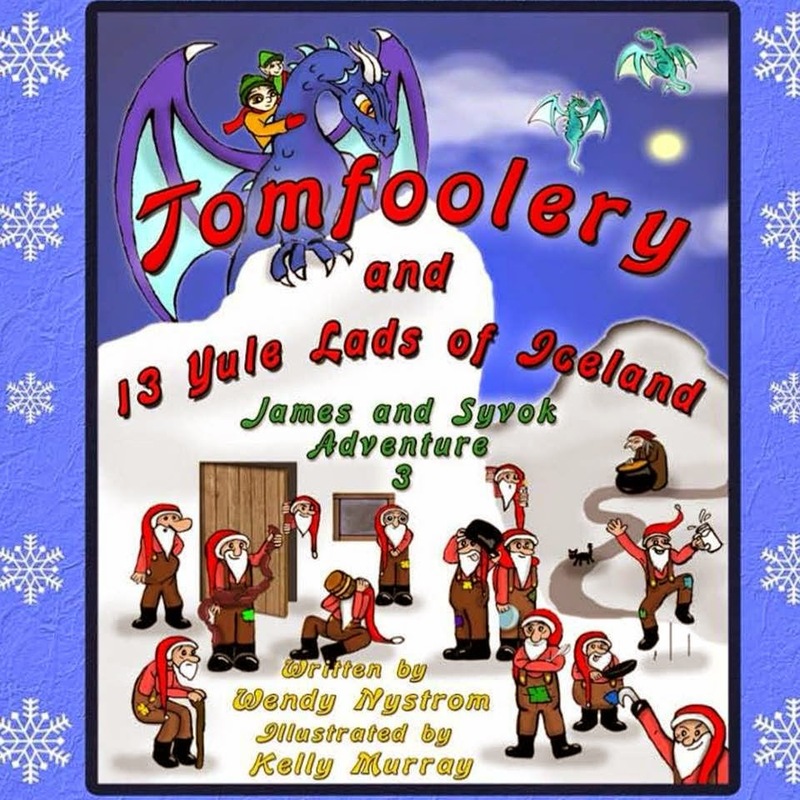 Raucous, laughs, and Yuletide joy are ahead making memories for James and friends! Did you know Wendy LOVES to connect with her readers and new friends? Here are several ways you can stay in touch with Wendy! 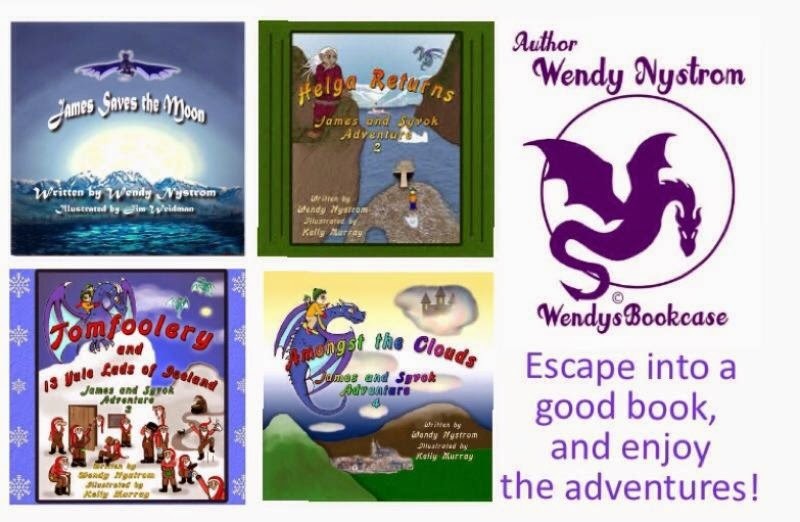 and allow Wendy's books to inspire your children's adventures! Imaginations are best grown from a book! with book 5 coming in November! 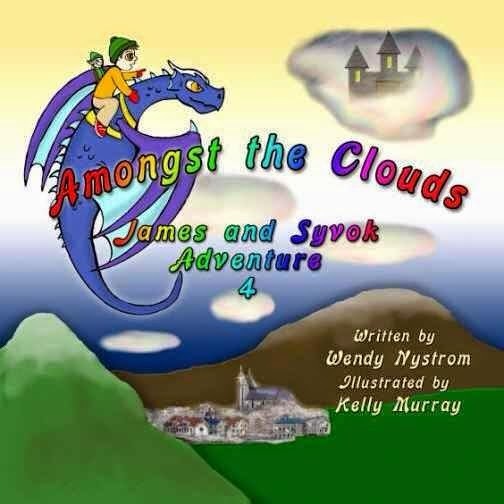 Amongst the Clouds, book 4 of James and Syvok’s adventures, is my new favorite. As compared to the others in the series, this one has a darker side. 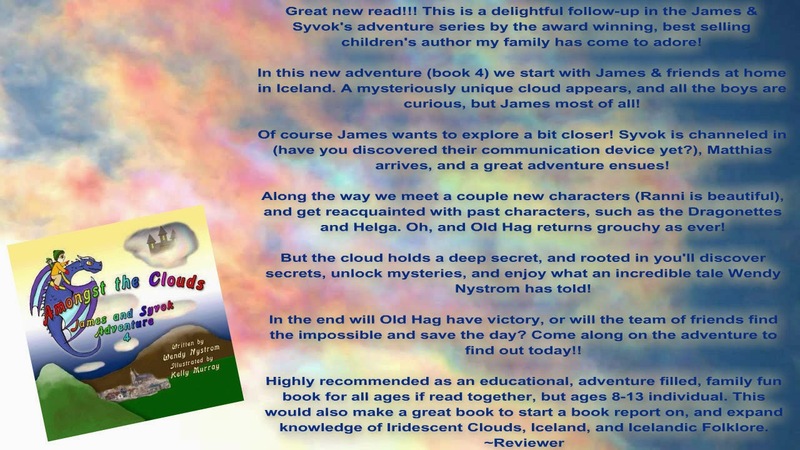 Their latest adventure stars Old Hag and her plot to steal Ranni’s cloud. It’s a fast paced, dramatic tale that brings back past characters like Helga, the troll, and Alex and Bethany, the two young dragons. Of course, no adventure is complete without Matthias. Amongst the Clouds is sure to attract new readers for author Wendy Nystrom. I cannot wait to see what James gets into next time.